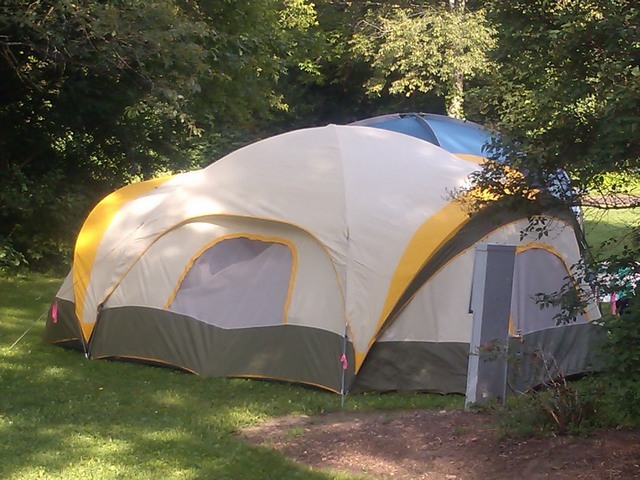 This entry was posted in Picture This, Wisconsin and tagged Baraboo, camping, Wisconsin by The Adventures of Blue Bear. Bookmark the permalink. It’s probably a monster to put up too! Ha! Did not appear that it was as bad as one might think.A marvel of engineering. But there were four of them working together. Think it would be a beast for just one person. But one person would not need such a monster.